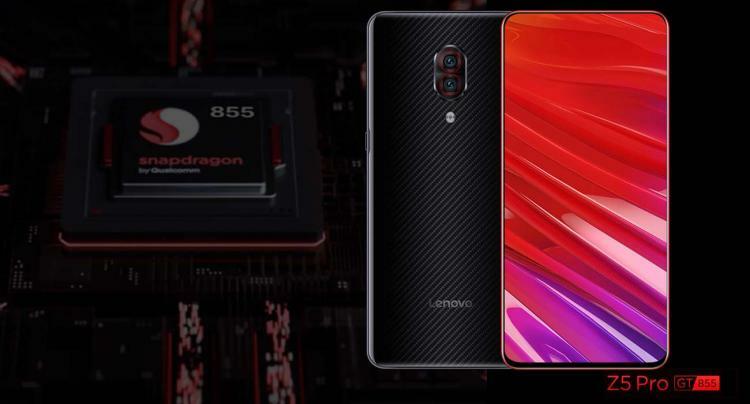 Lenovo revealed the new Lenovo Z5 Pro GT gaming smartphone featuring the next-generation Qualcomm Snapdragon 855 mobile processor which offers transformative 5G experiences and more. The Snapdragon 855 features Qualcomm’s Snapdragon Elite Gaming set of features which offer a combination of enhanced graphics performance, superior graphics quality, immersive audio, and smooth online gaming experience. Its set of features also support Vulkan 1.1. The Lenovo Z5 Pro GT is available in either 6GB or 8GB LPDDR4X memory and 128GB or 256GB internal storage. It features a massive 6.39-inch Samsung AMOLED display with 2340x1080 (19.5:9) resolution. The Lenovo Z5 Pro GT was released in China for in three different variants: 6GB RAM + 128GB ROM, 8GB RAM + 128GB ROM, and 8GB RAM + 256GB ROM. However, rumours suggest Lenovo will be putting out a 12GB RAM variant of the gaming phone. The Lenovo Z5 Pro GT has a sliding mechanism that hides the dual 16MP + 8MP front-facing cameras. Its rear dual cameras feature a 16MP Sony IMX519 primary lens and a 24.8MP Sony IMX576 secondary sensor. Learn more about the Qualcomm Snapdragon 855 Mobile Platform here. The Lenovo Z5 Pro GT will be available for pre-order this January 15, 2019, in China. The official launch will be on January 24, 2019. The Lenovo Z5 Pro GT starts at ¥2698 (£300) for the 6GB RAM + 128GB ROM model, ¥2998 (£340) for the 8GB RAM + 128GB ROM model, and ¥3398 (£390) for the 8GB RAM + 256GB ROM model. The 12GB RAM model is expected to be priced around £500.